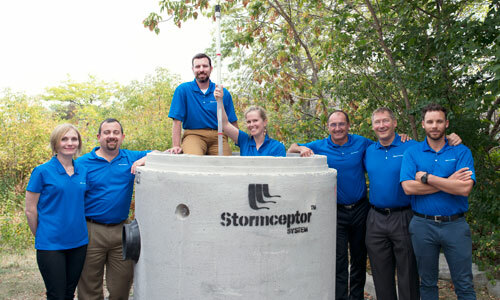 Stormceptor EF is an oil grit separator/hydrodynamic separator designed to protect waterways from hazardous material spills and stormwater pollution. Stormceptor EF effectively targets sediment (TSS), free oils, gross pollutants and other pollutants that attach to particles, such as nutrients and metals. Slides for the Canadian Regulatory Guidance for Applications of Oil-Grit Separators in Stormwater Treatment webinar can be found at the link below. 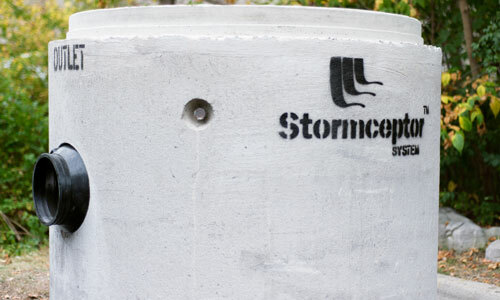 Stormceptor EF is a continuation and evolution of the most globally recognized oil grit separator (OGS) stormwater treatment technology - Stormceptor. 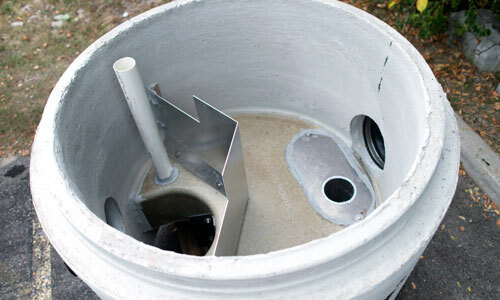 Stormceptor EF is designed to protect waterways from hazardous material spills and stormwater pollution. Stormceptor EF effectively targets sediment (TSS), free oils, gross pollutants and other pollutants that attach to particles, such as nutrients and metals. Stormceptor EF’s independently tested and ISO14034 ETV verified, patent- pending treatment and scour prevention platform ensures pollutants are captured and contained during all rainfall events. 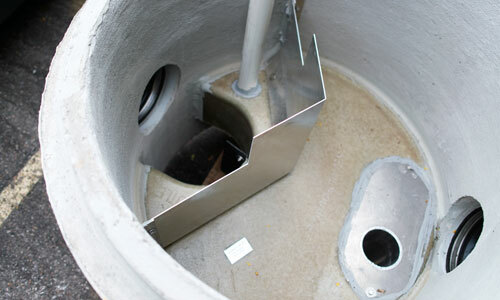 Stormceptor EF also offers design flexibility in one platform, accepting flow from a single inlet pipe, multiple inlet pipes, and from the surface through an inlet grate. Stormceptor EF can also accommodate a 90-degree inlet to outlet bend angle, and tailwater conditions. WHAT IS A TRUE OIL GRIT SEPARATOR (OGS)? From recent CA ETV testing, and product development conducted by Imbrium over the past two decades, obtaining one or two of these features is rather easy. However demonstrating all three features is a challenge. Sediment capture without the ability to capture and retain oil will not provide adequate water resource protection or good water quality benefit. A true OGS unit demonstrates the ability to capture and retain both sediment and oil and prevents scour during the larger storms we encounter. Make sure the OGS you are selecting, can achieve verified performance of all three critical performance features. The Stormceptor EF and EFO has been verified through the ISO 14034 Environmental Management – Environmental Technology Verification (ETV) program. 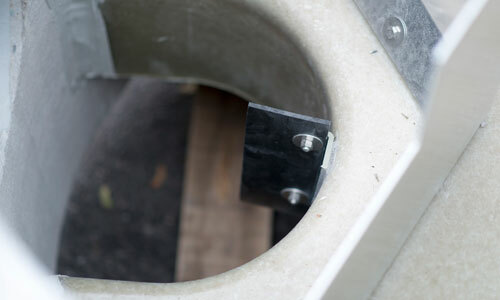 Tailwater/Submerged – For sites with standing water during dry weather periods, weir modifications can be implemented to ensure the same trusted performance. Additional Sediment Storage Volume – For sites with high pollutant loads or remote sites, additional sediment storage volume can easily be added. Oil Alarm – To mitigate spill liability, a monitoring system can be employed to trigger a visual and audible alarm when an oil spill occurs (EFO). Additional Oil Capture Volume – Additional oil storage capacity can be added (EFO), and when extra capacity is needed, a draw-off tank can be incorporated to further increase spill storage capacity. High Load – Standard design loading is CHBDC or AASHTO H-20. Specialized loading can be designed to withstand very high loadings typical of airports and port facilities. 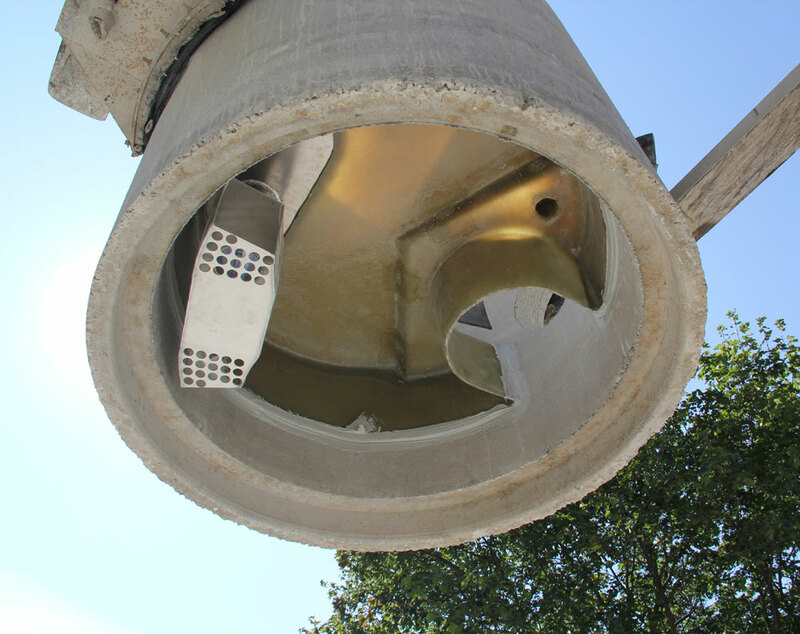 Lightweight – Sites that required lightweight or above ground units are available as complete fiberglass systems. Accidents and spills happen, whether it is a fueling station, port, industrial site, or general hot spot with daily vehicle traffic. 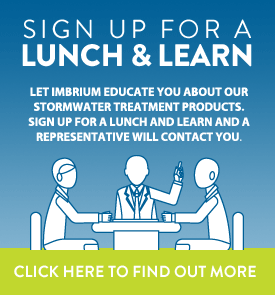 Protect the environment and your site from potentially costly clean-up, remediation, litigation and fines with the Stormceptor EFO configuration. The Stormceptor EFO has been third-party tested to ensure oil capture, and retention during high flow events. The hydraulics of the Stormceptor EFO have been optimized to enhance oil and hydrocarbon capture. The EFO configuration has been third-party performance tested for safe oil capture and retention. 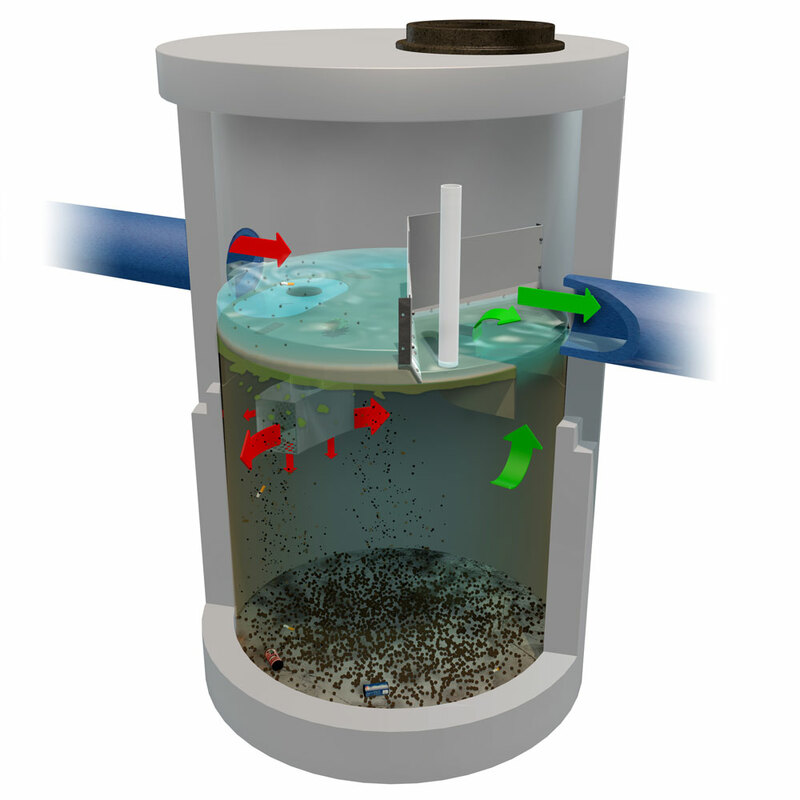 Creates a non-turbulent treatment environment, allowing free oil to rise and sediment to settle. Patented-pending oil and spills retention technology ensures captured oil and sediment remain in unit even during the largest rain events, for secure storage, environmental protection and easy removal. The EFO is ideal for gas stations, fuel depots, ports, garages, loading docks, industrial sites, fast food locations, high- collision intersections and other hot spots with spill-prone areas. The EFO can accommodate an optional oil alarm and additional storage to increase spill storage capacity. 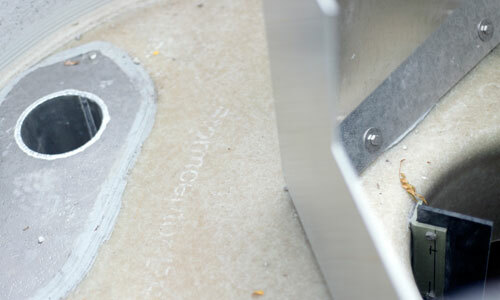 Inspection and Maintenance is fundamental to the long-term performance of any stormwater quality treatment device. While regular maintenance is crucial, it shouldn’t be complicated. Conducted at grade, the Stormceptor EF design makes inspections and maintenance an easy and inexpensive process. Once maintained, the Stormceptor EF is functionally restored as designed, with full pollutant capture capacity. Inspect every six months for the first year to determine the pollutant accumulation rate. In subsequent years, inspections can be based on observations or local requirements. Inspect the unit immediately after an oil, fuel or chemical spill. A licensed waste management company should remove oil and sediment and dispose responsibly. Looking for older Stormceptor Models? Please call you local Canadian Stormceptor representative for sizing and design assistance.